Today is Highly Debatable Humor Day, when we celebrate those examples of humor where the appeal could be wildly subjective; if you don’t find it amusing, well, you’re in accordance with a certain percentage of victims listeners/viewers, so just take heart in the idea that you’re not alone. The Original Ceylon Tea Company – Best Earl Grey that I’ve found yet. Two things that I neglected to mention regarding the video clips – they made it into the first attempt that was thwarted by post-nasal drip, and I forgot them the second time around. 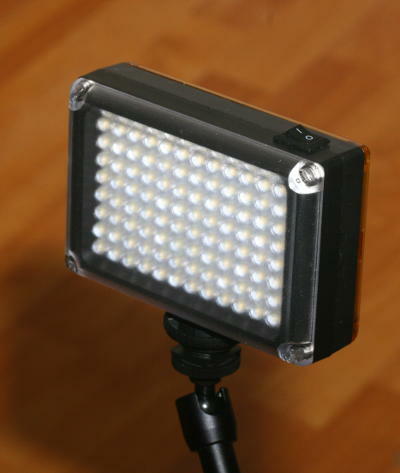 I obtained a little 96-LED portable light source that runs on 4 AA batteries or a USB powerbank, and that’s what was used for the two clips seen here – it’s light enough to be supported on an articulated arm (on its shoe mount or 1/4-20 tripod socket,) works fabulously for macro video, is reasonably diffuse, and is even dimmable. There are lots of versions on Ebay, and I have to say it was well worth the trivial price. The second bit is, I’m still using the off-camera monitor, which helps with macro work significantly, but it has one effect that you can see in the video: aiming the camera is no longer an intuitive thing. For instance, holding it in a bracket down below waist level and framing with the monitor means that tracking a moving subject, or simply pointing the camera in the right direction, is a lot more challenging. Yes, I need more practice, thank you Captain Obvious, but I’m offering this as a warning to those getting started in it like I am. Did you notice that I had the directions reversed on Bar Sinister and Bar Dexter? Good – keep it to yourself, hotshot.